Most of you will know about our NBT preparation course(s). 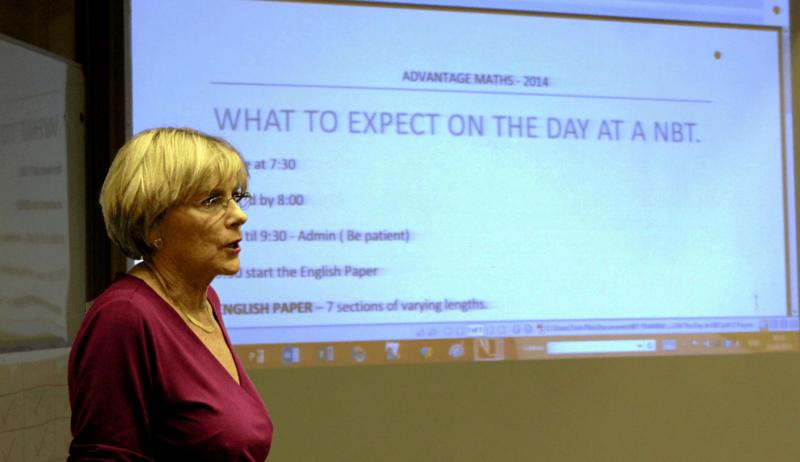 We were the first to bring a training course to South African learners in 2013 and have been preparing them ever since with over 5000+ learners prepared to date. We have learnt many things over the past 5 years of training for NBTs and one of the most significant things we have learnt is that you CAN prepare for your NBT…and you SHOULD! 1. The NBT is a fundamentally different style of assessment than what you experience / prepare for at a school level and so not practicing or preparing seems silly. In South Africa students are mostly trained to write tests and exams in a very specific way both procedurally and culturally. According to the Department of Basic Education (DBE) in South Africa educators are trained to assess using 3 fundamental assessment types; Summative Assessments, Formative Assessments and Continuous Assessments. The NBT is what is known as a standardised assessment; a way to measure a learner’s competence at a certain point in time in a standardised format so that a learner can be measured against a broader population of learners at a similar perceived competence level. Secondary level students in South Africa write 2 major standardised assessments during their high school (secondary) school career. The first at a Grade 9 level (the Annual National Assessments or ANA’s) and a second at a Grade 12 level (the National Senior Certificate or NSC). These assessments are written in a fundamentally different format to how the NBT assesses students and so it is imperative that students prepare themselves adequately for the new style of standardised assessment that is used such as the NBT, SAT and ACTs. How do they differ – read more about them on this page. How come we can prepare students for the NSC (National Senior Certificate) exams but it is implied that students can’t prepare for the NBTs? This seems a bit off. It is a fundamentally different assessment style to what most learners are used to, yet preparation is discouraged. At a high school level we are trained to show working and we are rewarded for it. Hence we are educated and incentivised to outline our thinking and rationale in achieving the required result (right or wrong) this creates a sense of comfort that even though we might get the result wrong in the end, the journey to getting there is rewarded. However, in the NBTs this is not the case. There are no “process” marks, your answer is either right or wrong! This puts the weight firmly on accuracy and process. Surely this is something we need to prepare for? Achieving good results in any assessment is not only about competence and aptitude, a fair amount has to do with confidence! And with good, solid, timeous preparation and practice comes confidence. This is probably one of the most important reasons to prepare for the NBTs. By preparing using whatever method you choose you are preparing yourself psychologically for the intense NBT assessments. This goes a long way towards achieving good results because you know what you are in for and are better prepared mentally. In my experience, I have seen too many students come out depressed saying ‘Question 1 threw me off and then I couldn’t recover, my result will be terrible…’. Don’t let this be you! Know what you are up against. Prepare, plan, practice and let experts help and guide you. This is not cheating, this is just good form and due diligence. We offer comprehensive online and in-person training courses focussed on the NBT that help you master the concepts required and prepare you mentally for the assessment. There are also many other training providers beginning to offer preparation solutions – this is great for students having to write the NBTs. The more options you (the student) have, the better chance you will have in finding a training solution that will meet your unique preparation needs. Don’t leave your NBT result to chance! Too much rides on getting a good result. Prepare and prepare well.